I was on the pier the other evening, testing a circular polarizer in the sunshine. There was a race around the block. I took some picture including this one. 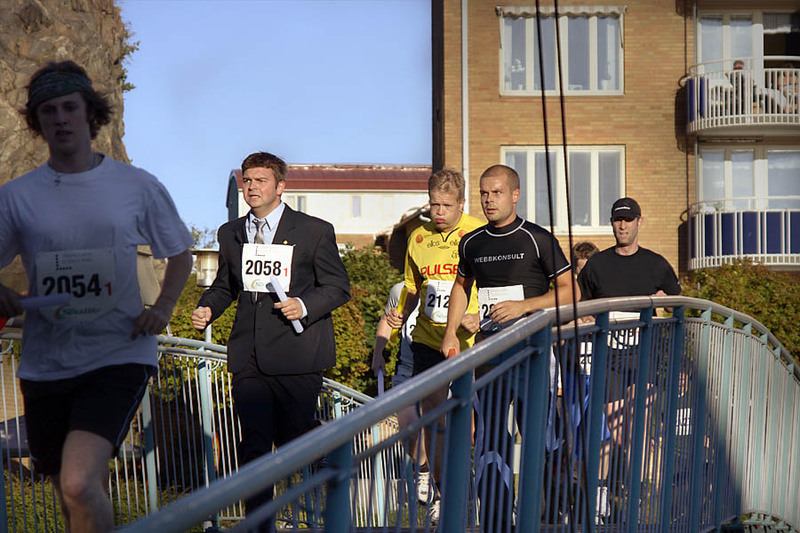 I really think that this guy running in business suit is very brave. Good job.